Christopher, Thomas, and Nicholas Frost hold pumpkins at Robinette Orchard. Several pumpkins are on the ground in front of the building, and a haystack is at the far right. 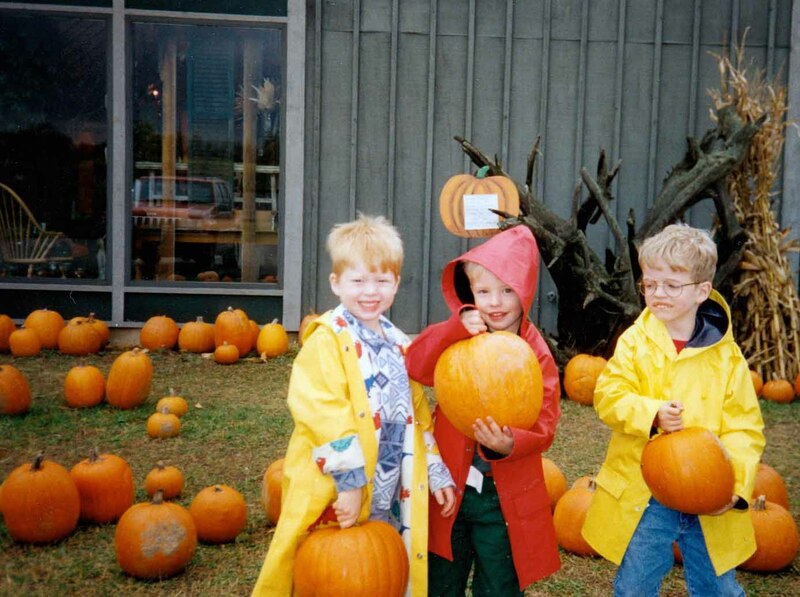 Two of the children wear yellow rain slickers and one wears a red one.